I recently wrote a post on tech-toys for global kids with a promise that this screen-free post would be following. Here it is! The older my kids get the more I see them becoming attached to their electronics. I am the first to admit that those toys serve a great purpose but there’s nothing I love more than seeing my boys curled up with a book, playing a board game, or coloring! When we’re traveling we always face the inevitable…a dead battery. I always have things on hand that don’t require electricity to operate and boy has this saved us on numerous occasions. 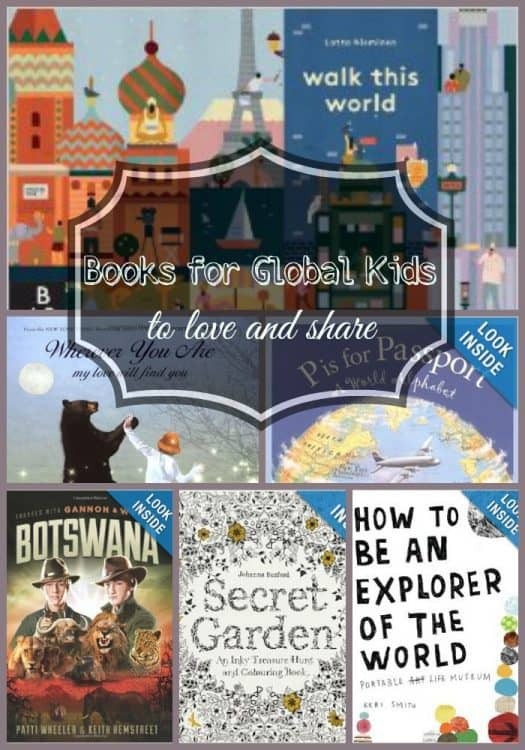 Whether you’re a globe-traveling family like us, or you want to bring the world to your kids, there are some great gift ideas in this post. too. My boys really enjoy these, granted they do provide a challenge. The instructions are not as clear as with Lego’s, they have to spend a bit more time making sure they’ve made the right connections and have built it correctly. Ultimately they’re learning some really valuable problem solving and mechanical skills while creating a toy. 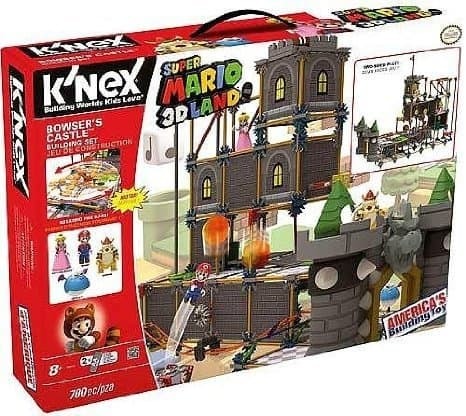 I brought back the K’Nex Super Mario Bowser’s Castle Building Set in my suitcase and we’ve been working on building in for a few weeks now. The good thing is you can work on it some, set it aside and come back and pick it back up. With big projects like this I’ve found that it’s important or the kids can get overwhelmed. Did you have one of these as a kid? I did! This past summer when I went to BlogHer I attended The Sweet Suite party and the Spirograph people were in attendance. I knew that this was a toy M would really enjoy. It doesn’t get much more low tech than this! The design has been improved on making it a little more user friendly and the version we have came in a little metal box that I love. This is a great gift for boys and girls – just be sure to add on an extra tablet of paper and maybe some colored pencils too. We like this version; Spirograph Deluxe Design Set for loads of options. Grandma got this gift last year for M and I learned this year that there are a few new varieties such as the Perplexus Epic that offer an even more difficult challenge. Essentially this is a maze inside a ball. Warning – you might want to get two for your family because MarocBaba and I have been known to play this game as much as the kids. We like this for our global kids because it’s a fun game that multiple kids can play when there’s a language barrier. It doesn’t require a lot of conversation, they can take turns, and it’s straight forward to explain. And, it’s a lot of fun too. One day, my boys were in a room timeout. All of a sudden, I heard them chatting and walked by their door to discover they had dug this game out of their toy box and were playing without prompting from me! I loved this game as a kid. This newer version of Guess Who is a little more advanced but still has the flip up and down doors (which were my favorite part). To make it a little more challenging and/or in multilingual homes, have the kids play in the target language they’re learning. Yes, it will be more difficult but it’s great practice for describing people and using questioning vocabulary. Like Guess Who the Uno Card Game is a simple, effective, and fun way to practice languages. It’s also a really easy and small item to toss into carry-on bags or in a bag when you’re on the go. We play in whichever language the kids choose or need additional practice with. It’s also an easy game to explain to new friends, making for a good icebreaker. Both of my kids have always liked puzzles but flat puzzles can lose their appeal. 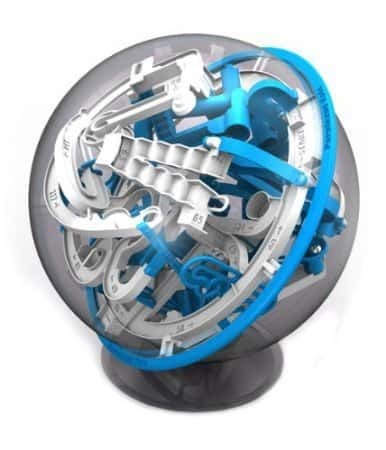 Enter 3D puzzles like, Ravensburger The Earth – 540 Piece Puzzleball. Yes these are more of a challenge and need a space that they can be left up to assemble and maybe a little help from mom and dad, but make for a fun family project. If we’re on the go, it’s easy to toss puzzle pieces into a labeled Ziploc bag along with a photocopy of the finished product (box) and they take up minimal space – much less than in a box. Is there any childhood experience (at least in the US) more universal than playing with play dough? I think not! At the last minute I tossed in a Play-Doh Party Bag Dough to the suitcase thinking if nothing else it would be a good little gift to giveaway to kids. Turns out when my kids don’t have a plethora of toys around them, they will play with this for hours. Toss a good recipe for play dough in your travel bag too and no matter where you are, you are likely to find the ingredients to make up a batch. You might want to pick up these Play-Doh: Rollers and Cutters to take with you too. 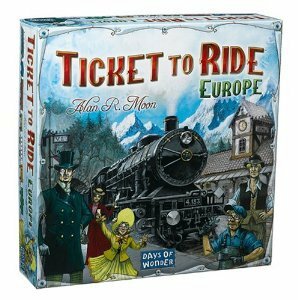 Ticket To Ride – Europe is a geography based board game that takes players on a train ride throughout the continent. There are many other versions of this game, based in different geographic regions. The game is very simple and can be picked up in just a few minutes. It’s somewhat similar to Monopoly but I think a bit easier. Can you ever have too many books? I think not. Books are a great gift, and while for a family on the go carrying a small library isn’t always practical, we’re always glad to have books with us! If you want to show your kids the world without leaving home, then by all means collect away! Walk This World celebrates the similarities and differences that exist between people and cultures all over the world. 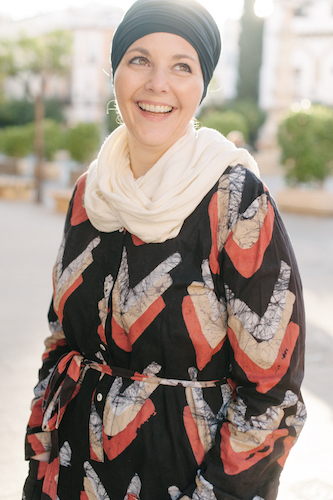 Each page features a new country and readers can peek through windows, open doors and go underground by opening the flaps on each of the page spreads. no worries… I’d know you anyway. How to Be an Explorer of the World: Portable Life Museum is an interactive journal, art project, and scientific journal. Whether exploring your own backyard or a distant location, this is an awesome gift for kids or adults! Writing prompts are unique and encourage thinking outside the box while observing the world around. Maps – I’m a geography nut and so it’s no surprise that a book with this title would be a favorite. I think it’s so important for kids to have a solid understanding of the world, where they live in the world and where they’re going. 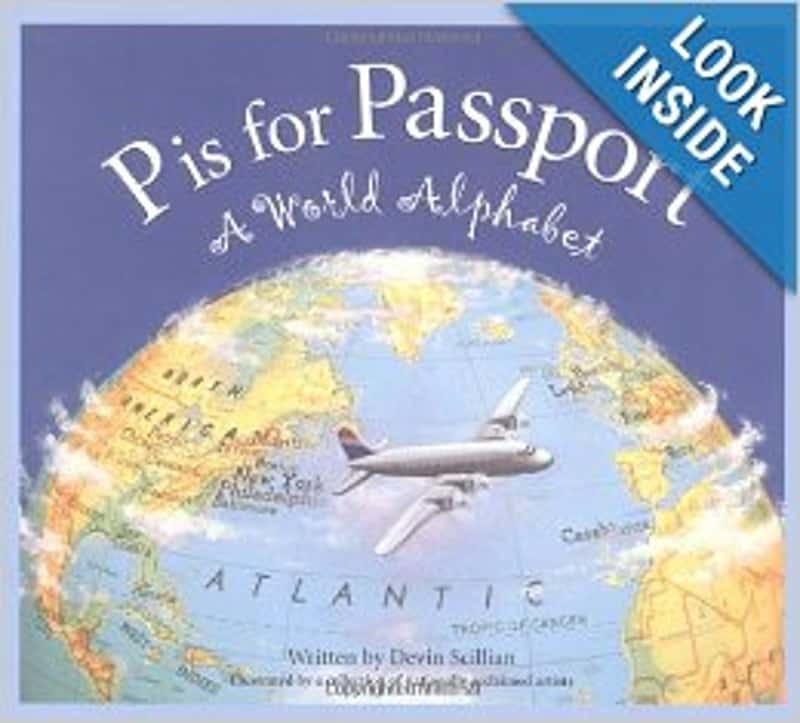 P is for Passport: A World Alphabet (Discover the World) When I found out I was pregnant with my oldest, this was the very first book I purchased for our library. 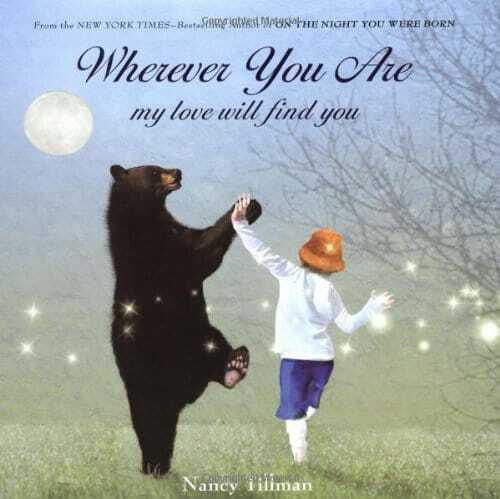 I still remember I found it at a small bookshop in East Lansing, Michigan. It’s also the one book I’ve never considered parting with. I’ve read it with my boys countless times and as they’ve grown have enjoyed discussing more in depth subjects touched on in this book. Travels with Gannon and Wyatt: Botswana Last month we had the opportunity to review these books and really liked them. These are for older, more advanced readers but younger children enjoy reading them aloud too. A really great series to start! 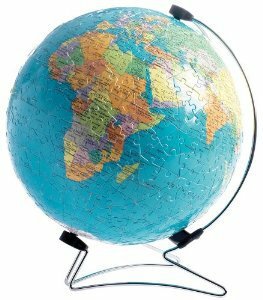 I’d love to know some of your other recommendations for non-tech toys for global kids!